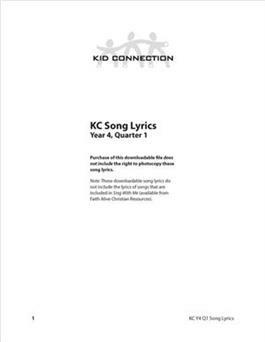 Download and print all Kid Connection Year 4 lyrics for any songs not available in Sing With Me. Purchase one per leader. Does not include permission to photocopy.